The Winachi Tribe, are a funk, soul, urban, Hip-Hop, rock, Acid electro infused band from Warrington, whose laid- back and roller-disco vibe shines under the glitter ball, whilst brooding in an underworld of urban grit. Comprised of Liam Croker on vocals, Antony Egerton on Key/programming, Inder Goldfinger on percussion/drums, Mike Bee on guitar, Richard Richie on bass and Sammy Click Click on live drums, The Winachi Tribe are a force of nature, a primal collective of brotherhood, down to earth groovsters whose smooth vocals, token rap and soulful backing vocals are delivered with an uber-understated cool. Through their sleek and rugged sounds, The Winachi Tribe bring back the soulful, funktastic sounds of the 70s and early 80s back on the dance-floor, whilst producing a more contemporary and nocturnal sound. 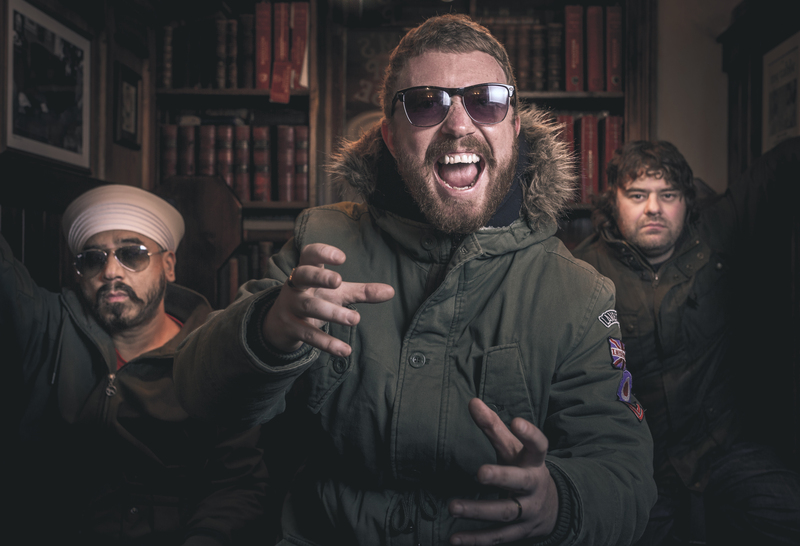 Formed in 2015, The Winachi Tribe have collaborated with Rowetta from The Happy Mondays, Keith Allen and Tommy Flannagan, as well as working with producers Danny Saber and Howie B (Massive Attack / Tricky / Bjork). Not a band to cut corners, The Winachi Tribe are the real deal, who take their musicianship to another level and whose single “A Room With A Zoo”, has just been selected as my “Single of the Week”. Presented in a short-film format, “A Room With A Zoo” is also available on standard audio, along with a remix by Howie B, which can all be downloaded via iTunes. “A Room With A Zoo”, mixed by Jim Spencer (New Order / Electronic) , is a trip to a shamanic asylum, in search of some soul resuscitation. It’s a funked up awakening from a slumberous state, whose neo-psychedelic riffs (provided by Jamie McGregor) flicker and shudder like sunbeams peering from a hazy horizon. Through the eerie footsteps, rolling tins, plucky riffs, springy percussion, reverberating synth and dialogue, “A Room With A Zoo” sets the scene, creating a cinematic soundscape. Along with the crashing riffs, Eastern beats, funky bass and piercing beats , “A Room With A Zoo” zooms into a disco desert, hallucinating from the mirage of wah synths. It’s a brilliant track, whose mechanical and smeary synths are customised by film extracts and an urban narration of children singing aside the twinkles, pecking synths and tick-tocks, double-dutching with Big Bird and the Baboons away from Debauchee Street. With a special guest appearance from actor Tommy Flannagan, “A Room With A Zoo” is a voyeuristic, stunning piece of art, which chills in its rattle-snake room whilst alternating between realms of the psyche. Through the tribal beats, intriguing dialogue and chants, “A Room With A Zoo” lingers in suspense, reaffirming The Winachi Tribe as one of the most original, thrilling, passionate and accomplished acts to emerge from the North West in recent years. The Winachi Tribe head to L.A on the 28th Feb for their debut U.S shows, the first being a headline show at ‘Harvard & Stone’ on Hollywood Boulevard 1st March with other dates to be announced for Hollywood, North Hollywood, L.A, Las Vegas, San Francisco & San Diego. These are all showcases for their management company, ‘H.R.B Management’, which is based in West Hollywood. On returning to the UK they play a big hometown show with ‘Sly Digs’ at Warrington ‘Parr Hall’ on the 16th March, to celebrate 5 years on ‘WAM – Warrington Music’.